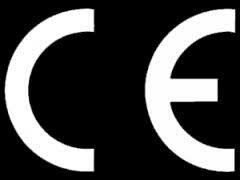 CE is an acronym for the French phrase "Conformite Europeene" and is similar to the UL or CSA marks of North America. Unlike UL or CSA which require independent laboratory testing, the CE mark can be applied by the manufacturer through a "self-certifying" procedure that verify that products are designed to the appropriate standards. The CE mark states that the manufacturer confirms the product to be within applicable EU directives.